Firearms produced using additive manufacturing techniques have been the subject of significant media attention and research. Most firearms printed from polymers have suffered from significant limitations to operational utility, primarily being single-shot weapons. The Shuty MP-1 is different. The latest in a series of videos detailing the development of the MP-1 9 x 19 mm pistol, produced using additive manufacturing (3D printing) techniques, shows a more refined version than earlier iterations being successfully test fired. 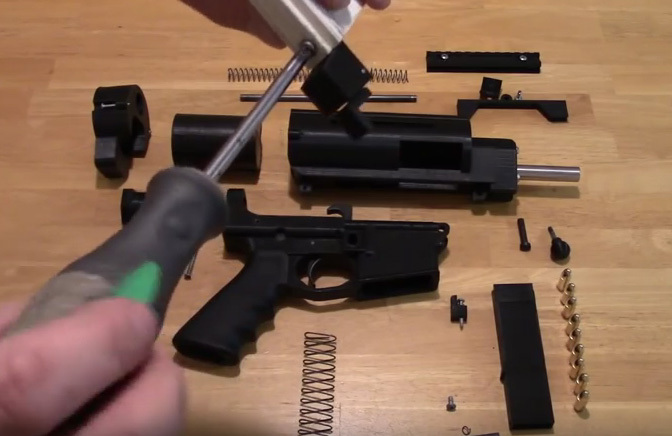 A separate video details the disassembly of its components. The developer claims that the weapon is ‘95%’ 3D printed, with the remained accounted for by various metal parts including the firing pin, springs, impact surface, and extra weight added to the bolt, hammer and barrel. The weapon is chambered for 9 x 19 mm – a fairly potent cartridge of choice for a 3D printed or improvised firearm – demonstrating the weapon’s seemingly acceptable level of safe construction. An example chambered in a less demanding cartridge such as .22 LR or even .32 ACP would prolong the smooth function and lifespan of its plastic components, especially as heat build up is reportedly an issue with long term use. 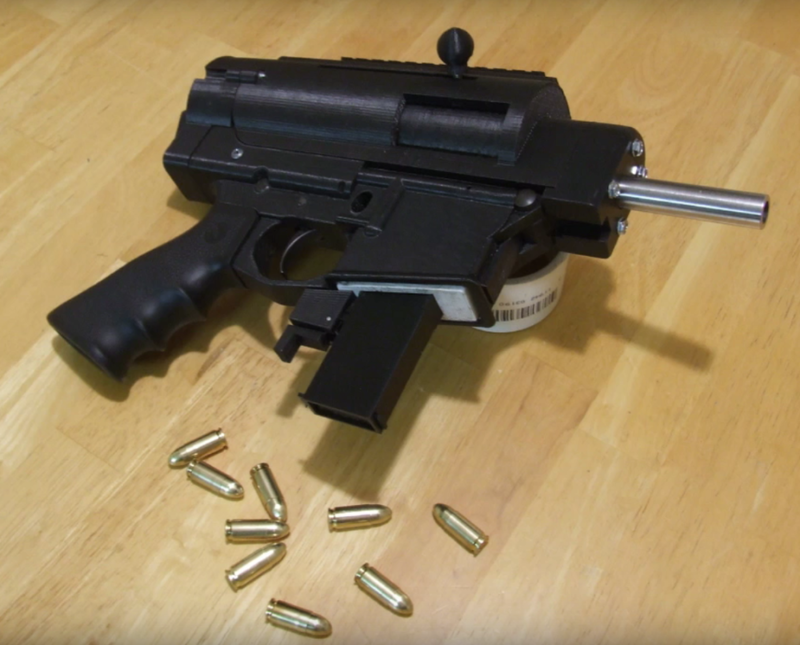 Although the prototype makes use of a standard 9 mm Glock barrel this isn’t by a major hurdle for those who may not have access to commercial firearm components. 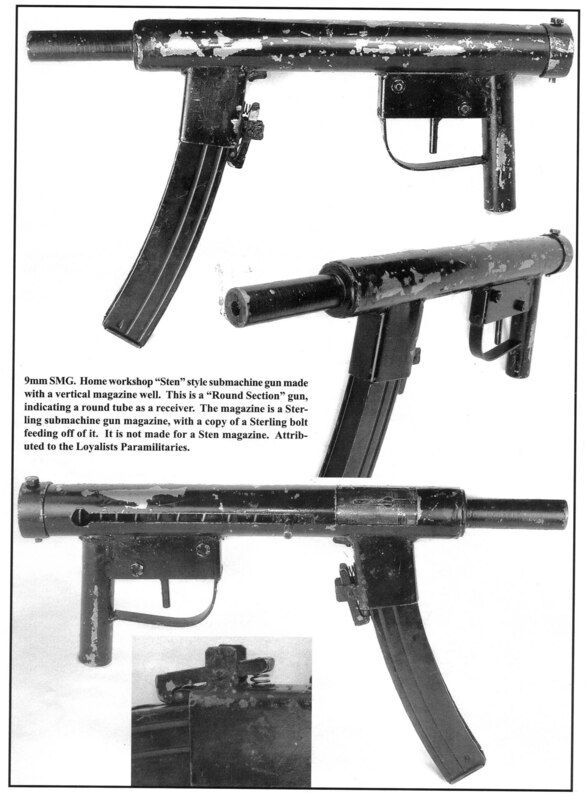 The eponymous improvised submachine gun design which inspired this weapon simply uses a length of seamless hydraulic steel tubing with an inner diameter of 9 mm as an expedient alternative, despite significant impacts to range and accuracy.